Jacaranda Community Centre chief executive Lyndsey Fitzgerald. THE state’s most disadvantaged people are at risk of falling into further hardship, following the Barnett Government’s decision to cut financial counselling funding. Financial counselling is a free service offered to people who are struggling to pay debts and manage their money. The State Government plans to stop funding the service in metropolitan areas by September 30 and save at least $6 million over the next four years. 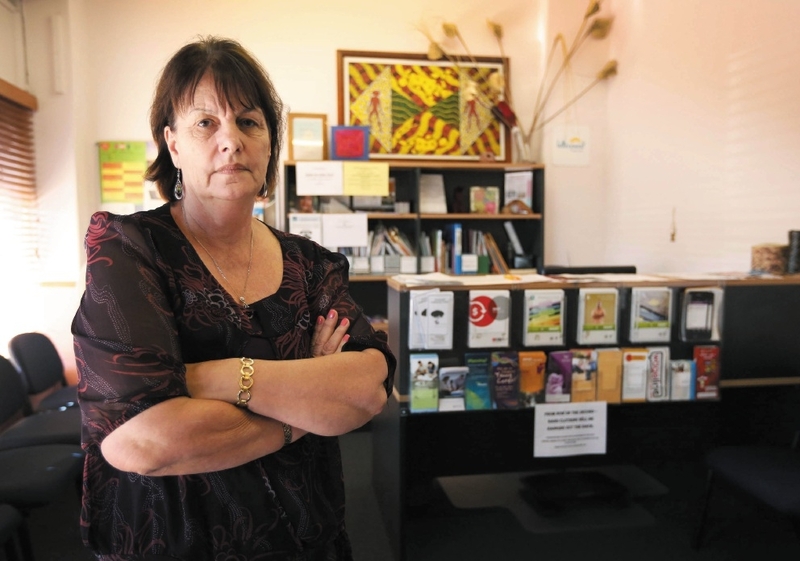 Chief executive of the WA Council of Social Service (WACOSS) Irina Cattalini said the cuts had come at a time when the service was needed more than ever. “The WA economy is slowing, unemployment is rising and increasing numbers of households are finding themselves in financial difficulties,” she said. Ms Cattalini said for every one dollar invested in financial counselling there was a direct saving to the government of five dollars. Child Protection Minister Helen Morton said her department had to use its funding to focus on services that promoted the safety and wellbeing of at-risk children and families, with the aim to prevent children coming into care. “However, the Financial Counsellors Association of Western Australia helpline will expand and increase its focus on metropolitan clients,” she said. The helpline provides financial counselling over the telephone and a web-chat option for clients is also being trailed. Ms Morton said vulnerable people experiencing financial hardship could still access support, including no-interest loans for families and individuals on low incomes or Centrelink income support. Jacaranda Community Centre in Belmont provides financial counselling to about 30 people per day. Chief executive Lyndsey Fitzgerald said the decision cut funding means Jacaranda wouldn’t be able to service as many clients that are often the most vulnerable members of the community and they would lose staff that are fully qualified and highly trained to assist clients in financial stress. “Many clients do not know what resources are available, what they are entitle to received, how they get additional help or even to look at contracts for hardship provisions, total and permanent disability, early release of super or negotiate their way through the financial maze,” she said. She said Jacaranda would lose $256,000 per year on salaries and on costs to keep the agency open.